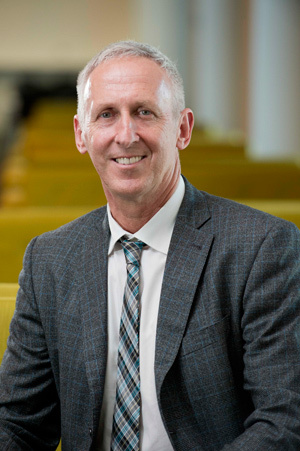 The University of Canberra (UC) has announced an independent review of "Contingent-Continuing" academic employment, to be chaired by Professor Kevin Hall, from University of Newcastle. "Fixed-term employment is almost invariably used for academic staff funded by research grants, although larger research-based universities have recognised the negative impact of contingent employment on researchers, and have introduced a “contingent continuing” employment category that provides continuing employment but with easier termination arrangements in the event that the researcher misses out on being engaged under a subsequent grant. The severance payments for this form of employment are also lower than the standard academic redundancy payment entitlements"
Putting it more crudely, this is a form of indefinite temporary employment. While the uncertainty over research grants to fund employees has been the primary rationale for not employing academics permanently, the uncertainty around the need for teaching staff may also be a factor. Australian universities have experienced a boom in enrollments, due to government funding for domestic students, and demand from international students. However, neither of these sources of income are certain to continue into the future. Also the use of new teaching techniques and educational technology, are changing the number of teaching staff required, and their skills. Most academics currently at Australian universities are not trained or qualified to teach in this new environment. Dr Inger Mewburn (ANU), has proposed a study into the nature and extent of academic work. Such a study would be useful for informing the UC review, as well as likely future government inquires into the Australian university system. The University of Canberra Vice-Chancellor and President, Professor Deep Saini, has today announced an independent review of Contingent-Continuing academic employment—commonly referred to as the Assistant Professor program—to evaluate and improve the program. Assistant professors comprise approximately 22.5 per cent of the academic staff at the University of Canberra through a unique program in Australia. The scheme allows assistant professors to fast track to promotion to associate professor within seven years via two performance reviews. The independent review will aim to ensure that participants are valued, supported, professionally developed and well managed to continue to be successful. “Whilst the basis of the contract is sound and has delivered success for many of our academic staff in fast-tracking their careers, we endeavour to deliver the best possible experience and results in this Australia-first program—both for the assistant professors and the students they teach,” said Professor Saini. The Review Panel consists of four members, including three external independent members and one internal member. Professor of Chemistry and Senior Deputy Vice Chancellor and Vice President at University of Newcastle, Kevin Hall, will act as chair with Professor of Psychology and Education Director at University of Sydney, Marie Carroll, as member, and Workplace Relations and Employment Law specialist, Dr Graham Smith, as an external consultant to the panel. Highlight the positive outcomes and identify the areas for improvement.